Among the services that Tania offers within her professional practice should be highlighted the analysis and preparation of different types of contracts relating to the energy sector (electricity and hydrocarbons), as well as legal advice to national and international clients regarding the implementation of the new energy industry regulatory framework in Mexico. Owing to her experience and academic background in the energy sector, she is at the forefront regarding the recently created regulations, which are part of the energy reform in Mexico. The aforementioned allows her to inform clients, in a timely manner, on the impact that the regulations will have on their current or future projects. 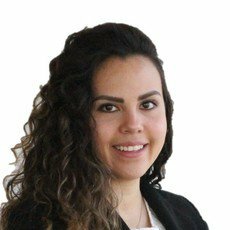 Before joining Sánchez Devanny, Tania was part of a distinguished Mexico City law firm specialising in energy law. In addition, she worked as a lawyer in a state production company developing new Mexican energy industry business and projects.